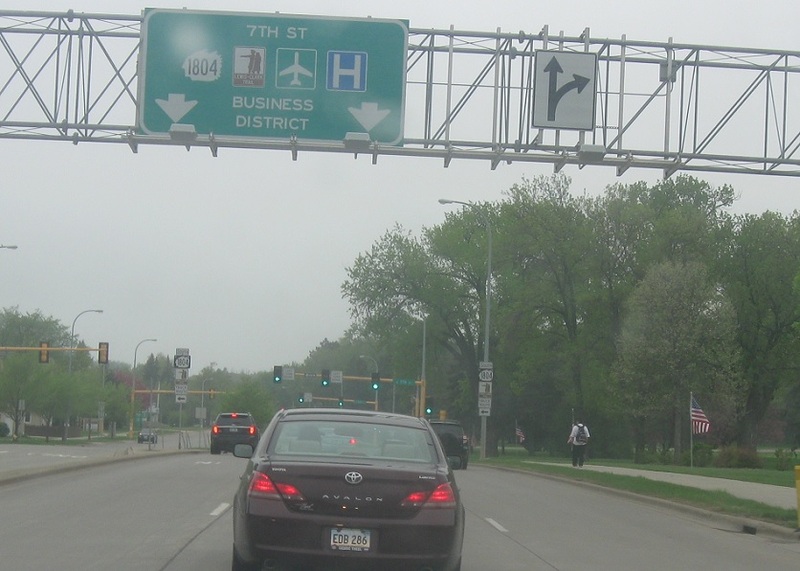 Reassurance shield after the I-94 junction. 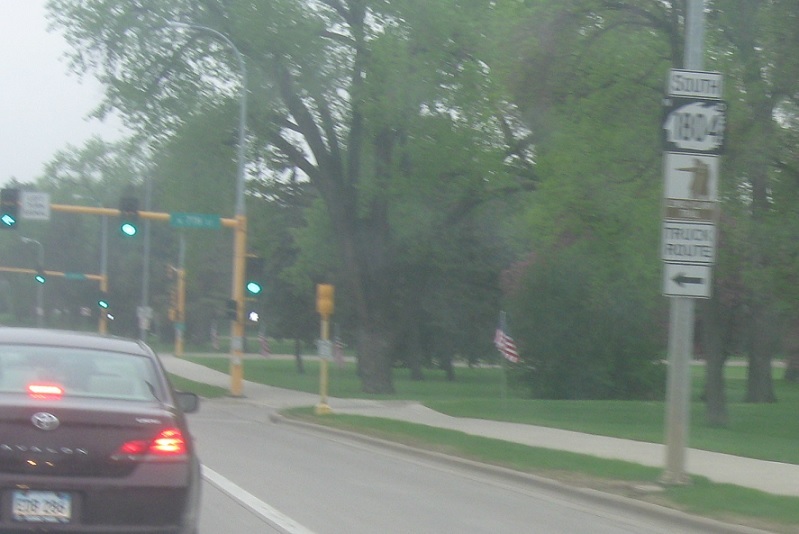 As we loop around the state capitol grounds, keep left to continue south to downtown Bismarck. 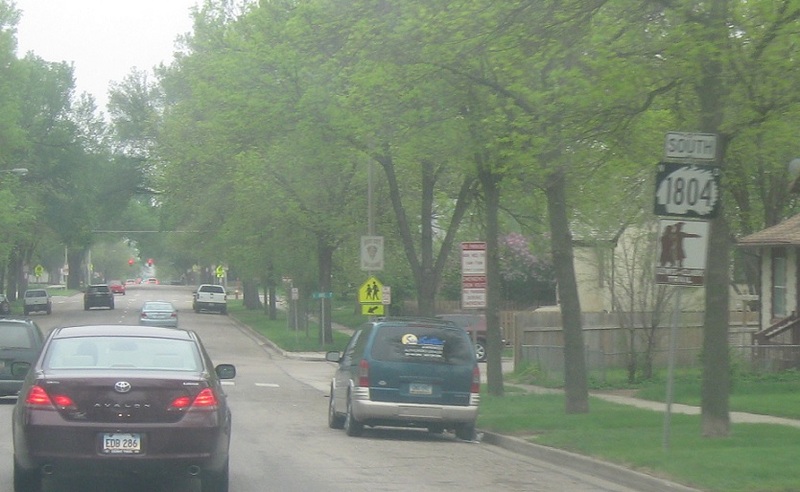 Turn left for 1804 south to downtown. 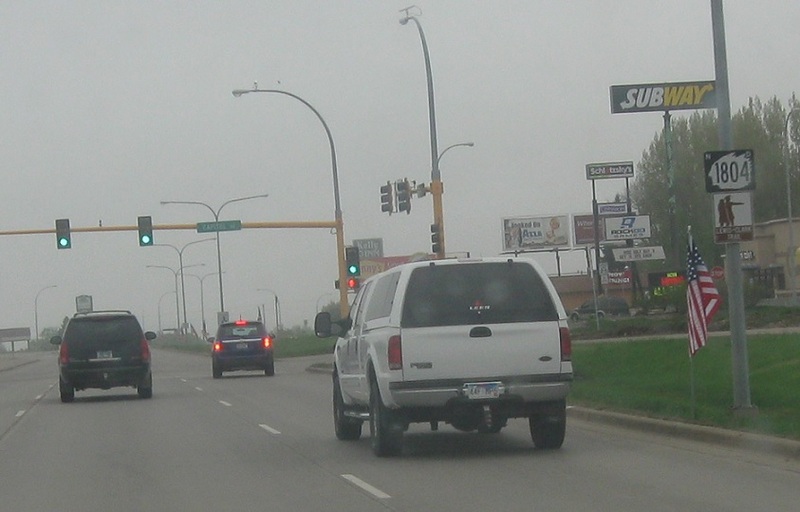 In downtown Bismarck, we’ll approach I-94 Business. 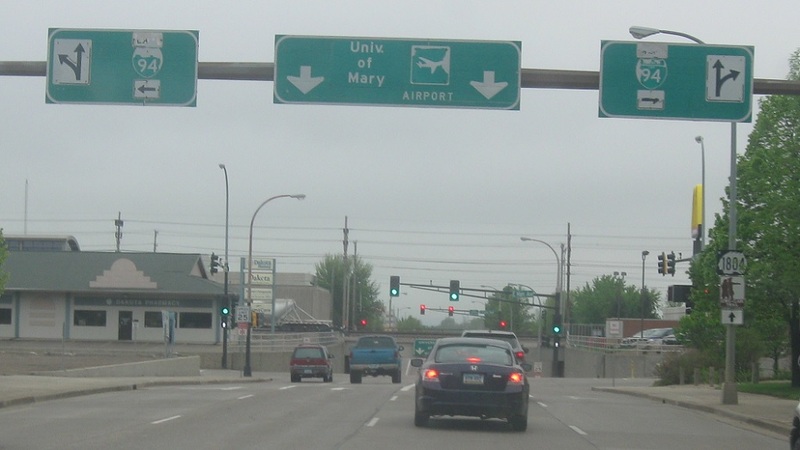 Turn left for the eastbound business loop and right for the westbound business loop.